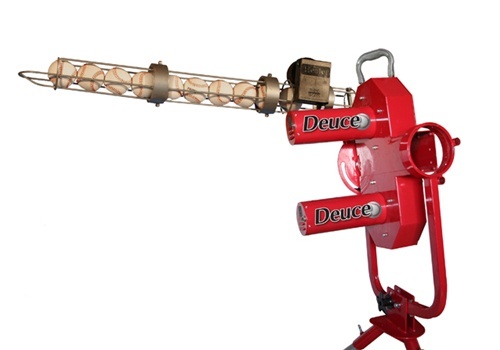 Deuce 75 mph Fast Ball & Curve Ball Baseball Pitching Machine with Bonus AutoFeeder. 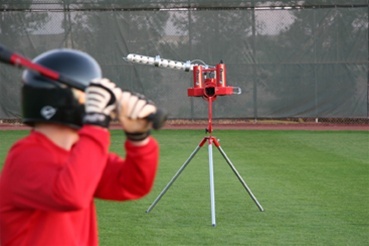 Take your game to a whole new level with the Deuce 2 Wheel Baseball Pitching Machine. 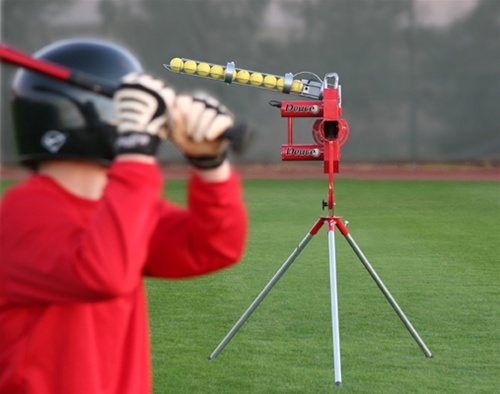 Dual speed controls allow you to adjust each wheel independently for a variety of pitches at speeds of up to 75 MPH. 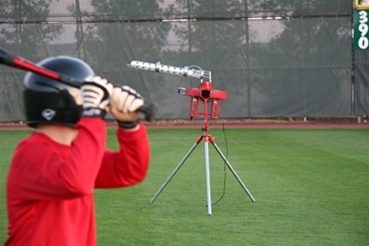 The Heater Deuce pitching machine pitches up to 75 MPH using Real Leather Baseballs or Dimpled Machine Balls.